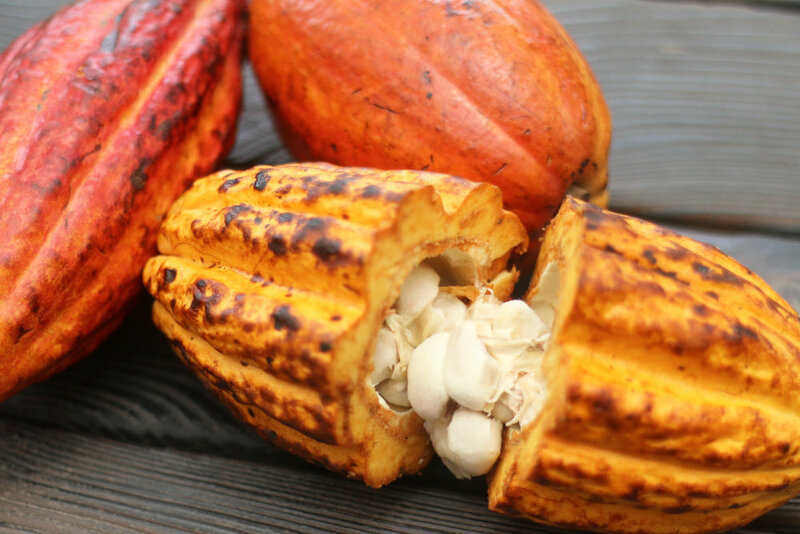 We source our cacao beans from Peruvian dedicated farmers. However, not all cacao harvests are equal. How a chocolate tastes depends on a combination of different variables including: good genetics, geography, soil type, climate conditions, attentive cultivation, careful fermentation, roasting temperatures and the overall chocolate making process. All these variables have a huge impact on the beans and the final chocolate’s flavor profile. Chocolate is one of the only few foods that is both fermented and roasted. This makes for some really interesting and complex flavors. This is how we make chocolate at Alkimia to preserve and highlight the unique flavors of each cacao fruit. We build a good relationship with local dedicated farmers from Peru who have been growing cacao with detailed attention to their cultivation and fermentation process and pay them a premium price for their cacao. Once the beans reach our location in Lima, we hand-sort them and remove any cracked or poorly fermented cacao. We roast our beans at low temperatures to preserve all the flavors and nutritional value of the beans. Not all beans are made equal, we run small tests changing the temperature and time until we reach the perfect combination. Our roaster was engineered in-house to roast with a hot air system and produce lower emissions than regular roasters. Once the beans have been roasted, we break the beans and separate the shell off the beans to keep only the "meat", the nibs, which are the only part of the cacao that’s used to make chocolate. We stone-grind our nibs and artisanal sugar together in a melanger (a stone roller machine) for 48 hours until the cacao and sugar are fully integrated into liquid form. We then store the chocolate as blocks until they are ready to be tempered. We temper our chocolate by heating, cooling and agitating it to form the right type of crystals. This makes the chocolate become smooth, shiny and have a “crack” sound when it breaks. When we are done tempering, we set the chocolate into hexagonal molds and let them cool until they become solid and ready to unmold. We unmold the chocolates and wrap them by hand. We put them, in their hexagonal boxes made out of recycled paper and they are ready for you to enjoy!